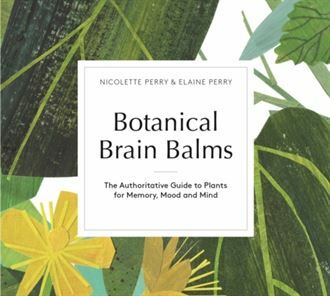 Plants we list in Botanical Brain Balms have science to show how they lift mood, alleviate mild depression (severe depression should not be self-treated) and level out mood swings. The widely recognized anti-depressive St John’s wort leads the way, but other traditional mood-boosting plants, successful in human studies, include turmeric from the Middle East, saffron from the Mediterranean and skullcap from Canada and the US. Our list also includes, with lesser evidence, chai hu from China and, for restoring hormonal balance, particularly for women, there’s black cohosh from the US and the less closely studied clary sage from Europe, and rose from the Middle East. Here we look at rose. A long-held notion surrounding depression is that it involves a response triggered by low brain serotonin levels and that drugs which restore this mood-boosting brain signal will also help to restore good mood. Consequently, common anti-depressant drugs are those which are able to maintain high levels of serotonin in the space where nerve cells talk to each other (the synapse). These chemical drugs are collectively called SSRIs (selective serotonin reuptake inhibitors). They include fluoxetine (Prozac), sertraline and paroxetine and are the most widely prescribed drugs today in the US, overtaking blood pressure drug prescription. While some anti-depressants act on serotonin others act on signals like noradrenaline and dopamine, for example the SNRIs (selective noadrenaline reuptake inhibitors), monoamine oxidase inhibitors and TCAs (tricyclic antidepressants used more for severe depression). A much-loved garden plant, the rose is being rediscovered for health and wellbeing as a result of scientific research on the aromatic oil. The apothecary’s rose is a hybrid variety of Rosa centifolia (Provence rose) and R. canina (dog rose). Hips, used traditionally, continue to provide benefits that are science-based. Apothecary’s rose is a perennial shrub growing to 1.5m (5ft), with sharp thorns, serrated leaves and delicately scented, deep pink flowers. Native to the Middle East, it’s been cultivated around the world for centuries. Hybridization gave rise to the strongly scented damask rose (Rosa x damascena) and Provence rose (Rosa centifolia) from which essential oils are commonly extracted. The dog rose (R. canina) with sweet scented white or pink flowers and more delicate stems and sharp thorns is found in the wild and self-seeds. Neither need much attention except to control their tendency to spread. Renowned for lifting the spirits, this queen of flowers is used in folklore to make or mend alliances and as an aphrodisiac. Used by the Romans in festivities where petals were eaten, roses were valued in monastic gardens both spiritually, as symbols of Christ’s blood, and for their healing powers. Traditionally used as an anti-depressant – the 1st-century Arab physician Avicenna prepared rose water, while 16th-century British herbalist John Gerard said “The distilled water is good for the strengthening of the heart, and refreshing of the spirits, and likewise for all things that require a gentle cooling.” Hips are used as a sedative in herbal medicine and the essential oil (“attar of rose”) is used in aromatherapy as an anti-depressant, a sedative and for pain relief in arthritis. Initial studies show rose scent increases measures of parasympathetic (rest) activity and induces feelings of contentment. Essential oil relieves anxiety during labour and depression and anxiety in post-partum women (with lavender). It relieves pain in children, menstruation, lower back and migraine in controlled trials. It improves sleep quality in coronary care patients and sexual function (in males and females) in major depression. Rose water reduces anxiety in renal patients and hips improve wellness ratings and lower blood pressure and back pain in other pilot studies. The petals, essential oil and hips (wild; R. canina) are anti-depressant, anti-anxiety, anti-convulsant, hypnotic, analgesic and neuroprotective in lab tests. The expensive pure essential oil is a complex mix of plant terpenes including the calming and uplifting citronellol, geraniol, linalool (also in lavender) and nerol (also in bitter orange). As with lemon balm oil, beware of imitations spiked with other oils or chemicals. Hips contain flavonoids and polyphenols. The essential oil in commonly used in aromatherapy. Rose buds make one of the best botanical teas and fresh rose petals can be added to salads and hips make perfect jellies and syrups on toast, with cheese or red meats. Rosewater (extract of flowers) can be used in cocktails such as gin fizz. 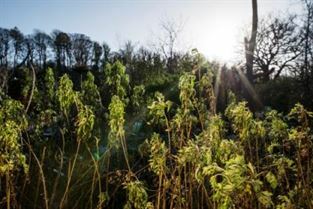 CAUTION Always consult a registered medical herbalist before taking any plant at a medicinal level, inform your health care provider if you are taking medication or have any medical condition and do not stop taking prescribed medication. Be sure of the identity of your plant and take only at the recommended dose. Buds, petals, hips, and essential oil in diffusers are safe, with no reporte side-effects or contraindications, including for children. Conrad, Pam; Adams, Cindy (2012): ‘The effects of clinical aromatherapy for anxiety and depression in the high risk postpartum woman – a pilot study.’ In Complementary Therapies in Clinical Practice 18 (3), pp.164–8. DOI: 10.1016/j.ctcp.2012.05.002. Igarashi, Miho; Ikei, Harumi; Song, Chorong; Miyazaki, Yoshifumi (2014): ‘Effects of olfactory stimulation with rose and orange oil on prefrontal cortex activity.’ In Complementary Therapies in Medicine 22 (6), pp.1027–31. DOI: 10.1016/j.ctim.2014.09.003. This is taken from Botanical Brain Balms, Filbert Press. Available buy at Dilston Physic Garden and book shops. With 4 interactive sessions in 2019, each one unique, in April, May, July and August, learn all about local plants you find in the garden, hedgerows, woods and fields and go out to forage for some of them. Each month explore which plants are growing and how they can be turned into potions to look after your body and your brain – like the spring tonics to give your body a kick start after winter, or the roots and berries of autumn to make cold and flu remedies, or plants to help you stay calm and concentrate better like lemon balm. The new book by Nicolette Perry and Elaine Perry, director and curator at the physic garden, is on sale now in The Physic Shop at the reduced price of £13. 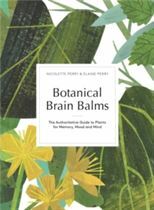 This book is for anyone interested in using plants to make the best of your brain & mind. An authoritative and accessible guide to 56 plants – a truly unique overview of medicinal plants that clearly explains the best evidence for the efficacy of plants for the brain. Beautifully illustrated, Botanical Brain Balms is a fascinating guide packed with safe and natural ways to improve the way you think and feel. 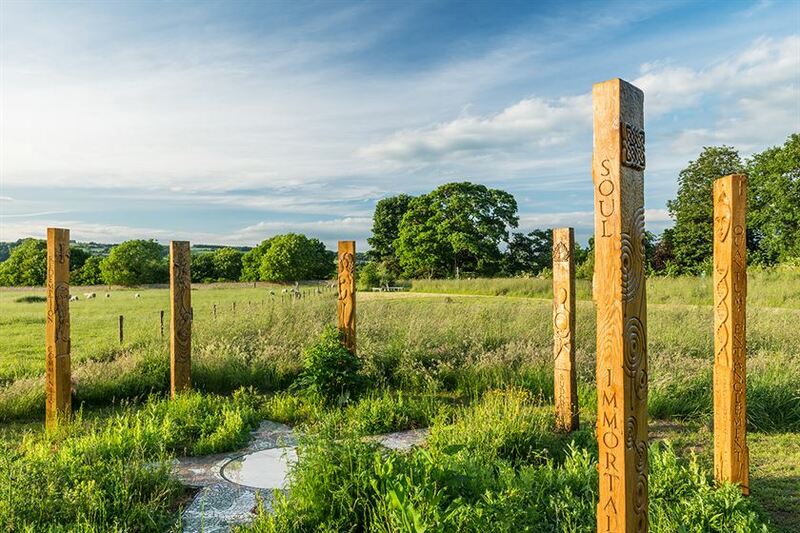 Planet Birdsong arrive at the physic garden this June with an opportunity for a 90 minute school event held at the physic garden on the afternoon of Friday 8th June. To see a lesson plan and powerpoint for the session click here. 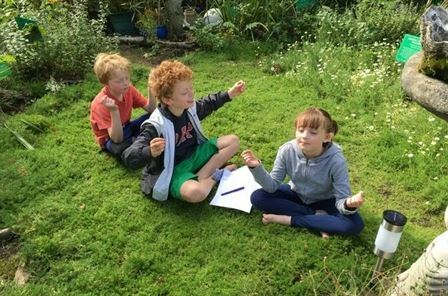 Please get in touch with the physic garden if you are interested in booking this place for your school group – info@dilstonphysicgarden.com. This summer the physic garden is delighted to welcome back pharmacist Milena. As a pharmacist trained in Poland, where plant medicines are dispensed alongside drugs, this year Milena is not only offering consultations, but is encouraging learning on medicinal plants for common ailments through a series of workshops. 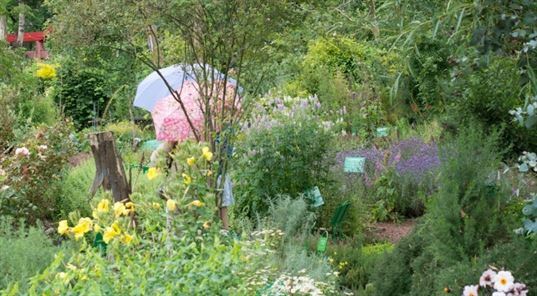 Just drop into the physic garden every Thursday from 1pm over June and July to uncover simple secrets for maintaining health and treating everyday ailments. Scroll down for the summer timetable or visit the Workshops page for full details of each workshop for June and July . The series kicks off on Thursday 7th June 2018 with How to Make a Herbal Mouthwash at 1pm in the Herbology House at Dilston Physic Garden. No booking is required, cost is £5 plus the physic Garden admission of£4 – or if you’d like like enjoy more than one Thursday Talk or the whole series you can buy a Season Pass for £10. If you wish to contact the tutor please email on milena.kopkowska@gmail.com. Each week Milena will lead a hour long workshop discussing different health problems which can be remedied safely at home with medicinal plants. The aim is to empower you to take care of yourself in a natural way. There will be some demonstration and practical tips on how to make the herbal products, as well as the opportunity to ask questions about the management of different conditions with herbal remedies. There will also be opportunity to buy some herbs on the day and if you would like to seek individual advice from Milena, consultations are available after the talk. Milena is a fully qualified pharmacist practicing in the UK. Her pharmacy degree is from ​Poznań University of Medical Sciences in Poland, where herbal medicine is a large part of pharmacy degrees and pharmacists are qualified to dispense both herbal and drug medicine*. In Poland, as in much of Europe, herbal medicines constitute a substantial part of the pharmacy stock and are commonly used by pharmacists and doctors for the management of minor ailments. Since working as pharmacist in the UK Milena feels that many common health problems may not be adequately addressed in the mainstream UK health service, since UK doctors do not prescribe herbal medicines, and UK pharmacies often don’t offer them, the public don’t know about them. Milena says she is here to change this! With knowledge of both herbal and drug medicine, she can therefore help you explore different treatment options and help you find the best way to improve your health. *Please note the Dilston Dispensary of Herbal Medicines dispenses herbal medicine and not conventional medicine products. Our next clinical trial has just reached its target funding – thanks to The Royal Botanic Gardens, Kew & Make My Day Better Charity, The Ridley Family Charity and Wesnes Cognition. Email us if you’d like to register interest to partake in the 2019 trial – plans of which are underway (you must be aged between 45y to 75y and not diagnosed with memory loss or dementia). This 2015 pilot clinical trial was carried out with the Bodyworks Centre in Hexham and Dilston Physic Garden and is published in the journal Phytomedicine. At a glance: The results showed that a medicinal tincture (an extraction of the plants in alcohol) of sage, rosemary and melissa given for 2 weeks improved word recall by over 50% in under 63 year old’s. To evaluate for the first time the effects of a combination of sage, rosemary and melissa (Salvia officinalis L., Rosmarinus officinalis L. and Melissa officinalis L.; SRM), traditional European medicines, on verbal recall in normal healthy subjects. To devise a suitable study design for assessing the clinical efficacy of traditional herbal medicines for memory and brain function. Forty-four normal healthy subjects (mean age 61 ± 9.26y SD; m/f 6/38) participated in this study. A double-blind, randomised, placebo-controlled pilot study was performed with subjects randomised into an active and placebo group. The study consisted of a single 2-week term ethanol extract of SRM that was chemically-characterised using high resolution LC-UV-MS/MS analysis. Immediate and delayed word recall were used to assess memory after taking SRM or placebo (ethanol extract of Myrrhis odorata (L.) Scop.). In addition analysis was performed with subjects divided into younger and older subgroups (≤ 62 years mean age n = 26: SRM n = 10, Placebo n = 16; ≥ 63 years n = 19: SRM n = 13, Placebo n = 6). Overall there were no significant differences between treatment and placebo change from baseline for immediate or delayed word recall. However subgroup analysis showed significant improvements to delayed word recall in the under 63 year age group (p < 0.0123) with Cohen’s effect size d = 0.92. No adverse effects were observed. This pilot study indicates that an oral preparation of SRM at the selected dose and for the period of administration is more effective than a placebo in supported verbal episodic memory in healthy subjects under 63 years of age. Short- and long- term supplementation with SRM extract merits more robust investigation as an adjunctive treatment for patients with Alzheimer’s disease and in the general ageing population. The study design proved a simple cost effective trial protocol to test the efficacy of herbal medicines on verbal episodic memory, with future studies including broader cognitive assessment. Midsummer is the time when the tide of light has reached its high water mark – the time of greatest light. This event, though, is also tinged with some sadness because from now on the sun’s strength will begin to ebb as we enter the waning year. Facilitated by local members of Druids, this midsummer ceremony celebrates – in symbolic form – the power of light and love in our lives. At the Spring Equinox, day and night are – once again – equal and balanced. We now cross the threshold into the light of summer. It is now that the sun rises due east, and the Spring Equinox has long been associated with dawn, youth and the morning star. Led by local members of Druids, celebrate – in symbolic form – the mystery and miracle of birth and rebirth. There is no admission charge; however, a donation towards hire of physic garden would be much appreciated.